HandyPlate is a partitioned ceramic plate designed specifically for those who struggle with upper limb disabilities and vision impairment. 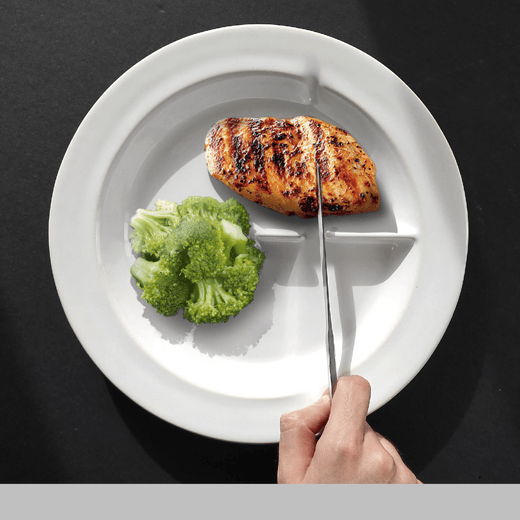 The partition in the middle acts as a cutting and scooping support for those who cannot use a fork and knife at the same time. The grooves on the side—parallel to the gap in the partition—act as a sensory guide for those suffering from visual impairment to find where their knife should cut, making meals much easier. Handy Play is made of ceramic so users feel dignified in using an eating aid.